Cavity sliding doors for a modern pantry design can bring both new fashion and improved functionality to your kitchen and adjoining areas. Although second kitchens and pantries have become popular again in the design of contemporary culinary preparation spaces, many modern pantries are limited in size and storage room. Also, entrance-ways from kitchens to pantries are often small and rather narrow. For this reason, cavity sliding doors are an ideal solution for inclusion in today’s pantry designs. • Glass and Timbre Doors. – Attractive clear glass, tinted and frosted glass or timbre cavity sliding doors are highly appealing items of decor to enhance your kitchen pantry. While the lustrous timbre doors offer stability, easy upkeep and durability, the glass doors reflect light and enliven your kitchen and pantry interiors. Clear or slightly tinted glass doors also offer easy inventory of pantry-stored items since you can see through these doors clearly with just a quick glance. • Soft-Close Doors. – Cavity sliding doors with the soft-close feature can be made of the material of your choice, although the most frequently requested styles are composed of timbre, enameled aluminium or composite materials. These doors provide both safety and convenience in a busy kitchen with its adjoining pantry because they open and close slowly and softly, with just a gentle touch. While reducing noise caused by doors that creak or slam shut loudly, these soft-close models also help prevent mashed fingers that can result from rapidly closing, heavy pantry doors. • Automatic Doors. – Styles in automatically opening and closing cavity sliding doors for pantries are very popular among homeowners today. 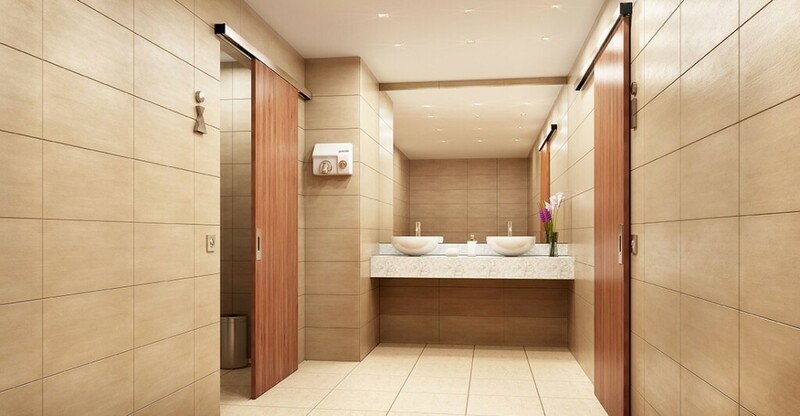 These doors are operated smoothly and quietly with use of a remote control device or by using a smartphone app. The quiet, calm operation of these doors enhances the atmosphere of your kitchen area. Since the motion of these doors can be stopped abruptly by a quick touch of your remote control, they also offer a strong element of safety in a busy kitchen environment. When you consult the cavity sliding door experts at Premium Sliding Doors located in Moorebank, NSW, you will benefit from excellent advice, sliding door designs and full installation services for new pantry doors in your kitchen area. Our experienced professionals will guide you to choosing the ideal cavity sliding door designs to provide ultimate safety, convenience and high fashion for your home kitchen and pantry areas.